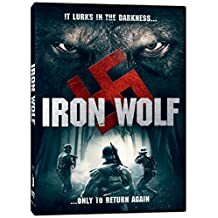 Posted on 18-08-18, in 3 Star, Movie Reviews and tagged Carolina Rath, Caterina Döhring, David Brückner, Dominik Starck, Hannes Sell, Iron Wolf, Jens Nier, Michael Krug, Nazi Werewolf, Nico Sentner, Roland Freitag, werewolf. Bookmark the permalink. Leave a comment.